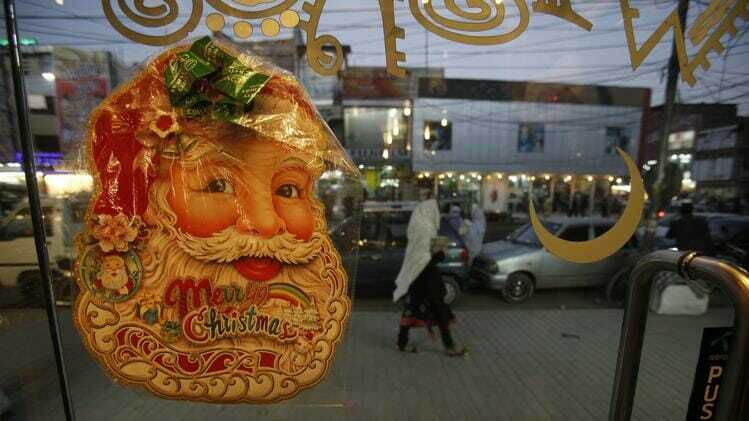 In the dangerous Peshawar region in Pakistan local shops wish patrons Merry Christmas. 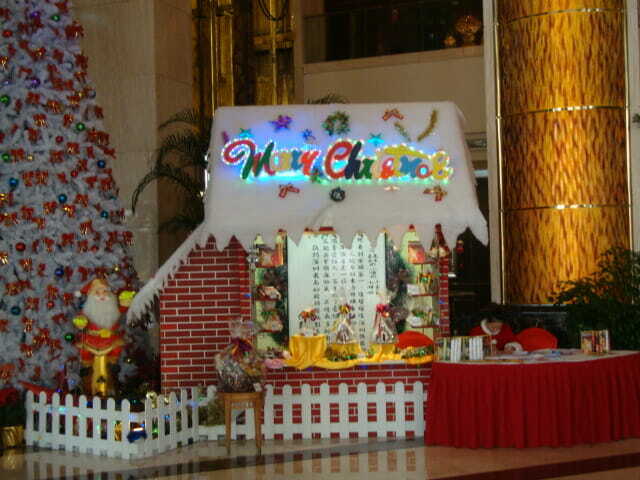 All over the city of Shenzhen in Communist China there are “Merry Christmas” signs. This was seen in a Shenzhen mall. The Obama VA is blocking students from sending religious cards to the troops. This year The Las Vegas Review Journal in their Christmas editorial mourns for our loss of liberty. Were signs and symbols some folks couldn’t stand. But don’t you dare call it a Christmas tree. For fear the grievance mongers soon would be there. Are told no religious carols — those just aren’t that cool. Don’t say “Christmas Concert,” for that’s full of shame. “Winter Festival” — now that’s the new name!